Los Angeles, CA, by Py with contribution from our sage photographer, Clinton Lum - 2013 has been a wonderful year. There have been lots of car shows/meets, occasionally being too many, like three events on the same day and still missing out others at the same time. Also, there is a steady sea change in the promotional modeling world that we see new talents coming up strong. We reflect on what we have observed and tap into our inner event-algorithm and compiled six forecasts for the year of 2014. We love to hear what you think. Post your comments in the below comment section. We will chime in whenever we can. Thanks. Happy New Year and look forward to bringing in more awesome coverage for all! There have been an incredible amount of car meets and open houses in 2013. We have covered AMF Forged Open House (shortened to OH), Subaru Summer Solstice OH, RPM Car Meet (CM), 2Crave OH, HRE Autofashion, LMT OH, Import at Irvine CM, Melyssa Video Shoot CM, Extreme Dimensions OH, Relaxin SoCal Alpine Audio CM, GSWerks OH, Summer Kickin Mitsubishi OH, Eibach Springs OH, Hooters SShow Ontario CM, R1-Concepts OH, MFest Pacific BMW OH, Sunset Show-Off CM by Limitless Society. "I can't remember my coverage from previous years that had so many open house events." said Clinton Lum. We are sure that we have missed a lot still. On top of the sheer number, also the organizations, the sizes, and the inclusions of models, all make these events much more enticing. To a degree, they are blurring the line of a car show or a car meet, since they have all the elements of a major car show (fans, cars, vendors, food trucks, models, DJs, and promotions). Since this is a low cost entry event with potential big publicity value, we see even more coming in 2014. The Takeaways: Vendors, especially wheels and tires vendors, don't miss out this great chance to make your brand stand out there. Remember to hire great models for the event. Their social media power will be a major marketing force for you. Models, network with the vendors that you have worked with so not to miss the opportunities of being hired or being there. 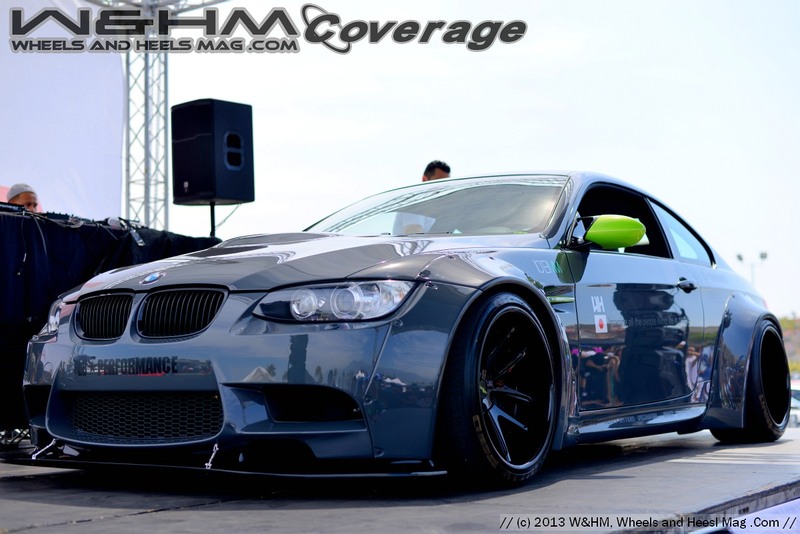 We saw record number attendance of this year's Bimmerfest at Rose Bowl, Pasadena, as well as very strong showing of 86Fest in Fontana, and Subifest at the same Autoclub Speedway, plus several others. These make-specific car shows are getting more prominent. Enthusiasts, fans, and friends all love the comradery in these tight communities. Vendors love it especially for their specific target potential buyers and brand exposure. Promotional models pay more attentions to them as these events are getting bigger and popular. We see a continual growth in this genre of the car events. The Takeaways: Promoters, keep up the great work! We love to see bigger expansion of the community. Vendors, these are some of the best events to show your brand, if you have make-specific services or product offerings. Models, put these shows on your radar screen. There is more money flowing into this segment. Several major car show teams have or will have plans to expand their footprints to a wider coverage of the geographical regions. Autocon has already extended to Miami FL, Seattle WA. Spocom has also set foot on Taipei Taiwan already, which is a world major power in car parts, accessories and wheels manufacturing. 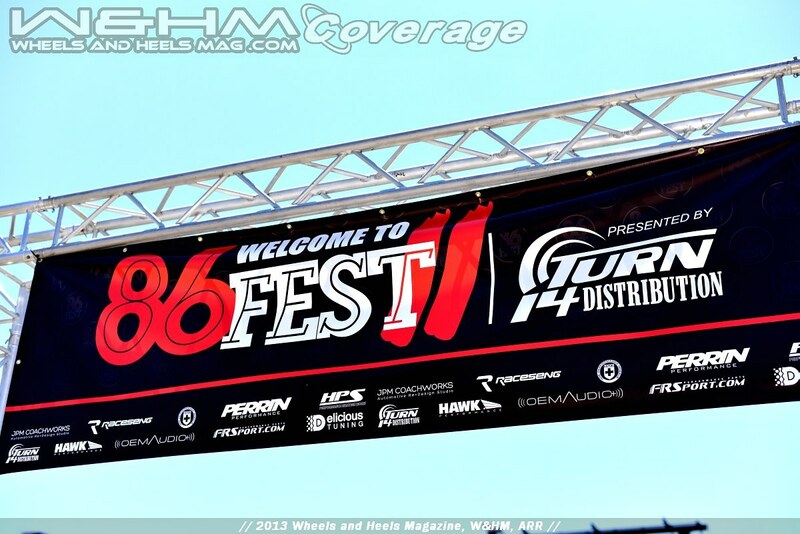 Wekfest is going to Japan and Hawaii in 2014. We highly applaud these bold moves to bring or mingle with the world wide communities. With the prevalent social media reach, maybe 2014 is the car show spring year. The Takeaways: Car Show Teams and Promoters, what an awesome job!! We love to see expansion more and more and also share with the local fans to make the car show world really flat! Car owners and car clubs, check out these reputable car shows and interact with far away like-minded. There may be some good deals and information than you expect. Models, there are strong opportunities more that you may be able to travel internationally, now there are great reasons for it! Get yourself out there and network, network, and network!! We don't know what's the linkage between car shows and vaping stores. Nonetheless, they are popping up all over the place and the promotions seemed to be revolving around the import car shows world a lot. "It seems that more import models are showing up to Vape store openings. More Vape vendors are showing up at import shows. And there are even vape conventions. Who would have thought that there was enough people to justify a vape convention?" said Clinton Lum. This is definitely a boom time for the vaping store industry. Before the FDA doing anything drastic, the vaping trend is poised to continue its big push into the car shows, along with promotional activities. The Takeaways: Vaping Vendors, go as far and as fast as you can but be mindful of any regulations that may come down to the pike. Import models are awesome in drawing people especially in their effectiveness. If you can do an open house combined with a small car meet and talented model, the brand benefits are immense. As said earlier too, the big name models have big social media draws. If you are going to spend money, spend it on the right spot. The conversion to sales would be left to you on how you can do it right though. Models, if you are looking to be in the import car scenes, vaping vendors are a key element in it now. So you know that there are many opportunities. New models come into the scene all the time. However, there seems to be a sea change that we see a lot more of them than before. In relatively brief modeling exposure, they come in with full confidence, passion, and talents. Gloria Touch, featured in our magazine, has been in numerous magazines already, and Brittany Brickner has won KROQ Doube D-December title within the half-year modeling life already. Bravo and more bravos to all the talented new comers. Keep up the good work and don't stop! The Takeaways: New Models, don't doubt yourself. Go out and lasso your dream and don't let go. Keep working hard, working humble, always networking and don't burn bridges. It's a very small world. And get on social media and work it smartly. The king is not dead yet, but we do have some concerns about it. Facebook is the long reigning social media platform among all. It was all fun and hot and chatty. Then the inevitable happened. After IPO, the pressure to monetize the free becomes obvious. No longer the viral reach of one's post. The you-have-to-pay-to-play model has drastically commercialize this multi-universe. On the other hand, Instagram has been our favor new choice of social platform. It's fitting for our pictorial centric presence without the much limitations and complications of the big one. Don't get us wrong, Facebook is still the 1 billion plus user planet. It's just that their effectiveness is waning and people are looking for other ways to grow their communities. The Takeaways: Models, social media is one of the most important time-wasters that you need in your profession. Treat it as a profession as well. Spamming your followers with every second of your adreline rush or sensation spur would not sit well with most people. Showing your personality, happy moments, achievements and upcoming events will make them feel informed and connected. Vendors, besides the usual of social / content marketing lessons, one point of leverage you can use is the models' social media power. It's totally amazing to see how Melyssa Grace, our cover model, can pull in so much donation in helping Typhoon Haiyan disaster relief. It's a pure power these days. With so many exciting trends that we foresee in 2014, we can only say that we very much look forward to them to come to fruition. And we will bring the evidence to you for sure! Stay tuned for a glorious 2014! Here at Wheels and Heels Magazine, we wish all a very happy and safe new year! See or share with you all soon! One more, we sincerely thank Clinton Lum for his tremendous participation to the magazine. He is the best of the best! And thank Eduardo Suarez for bringing several East coast event coverage to us. He's done a great job and we highly appreciate it! !